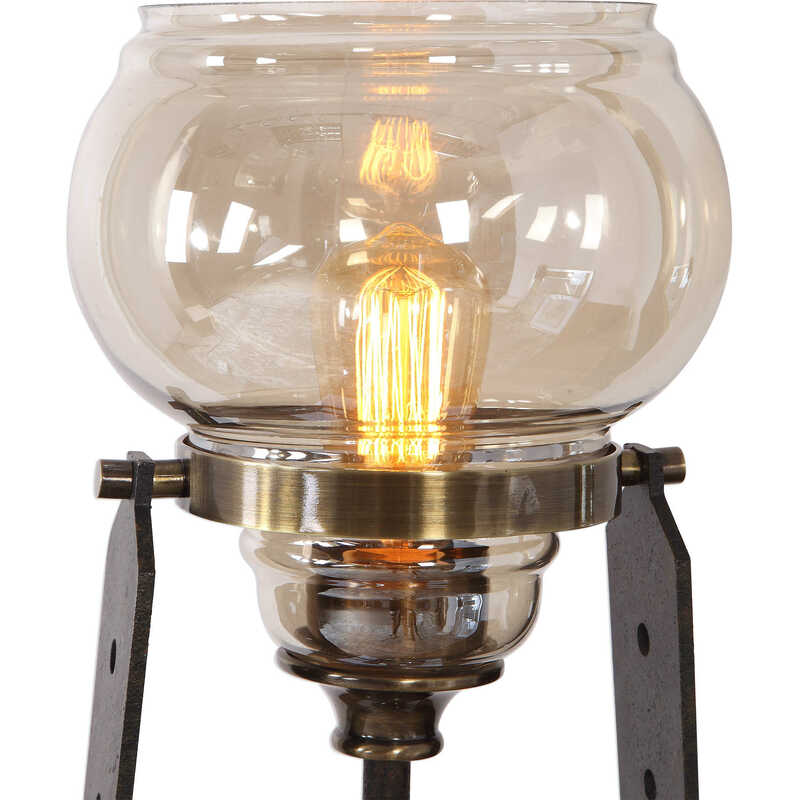 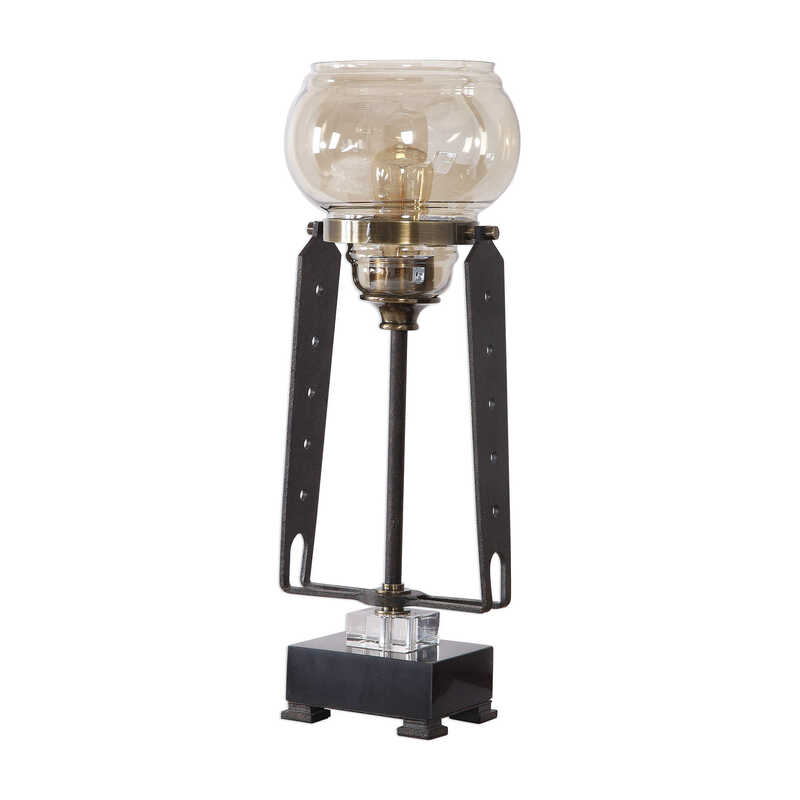 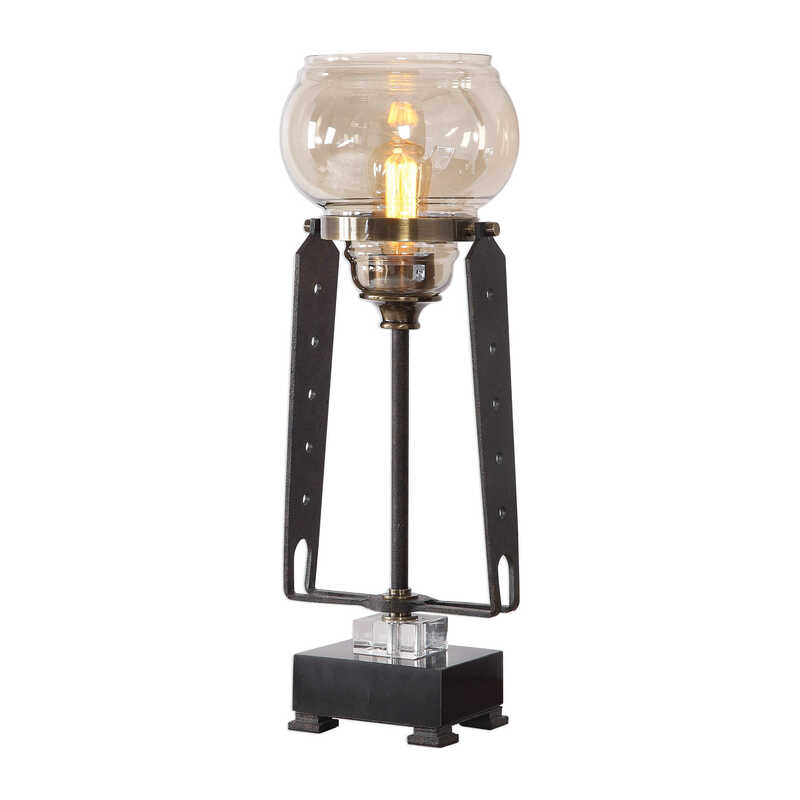 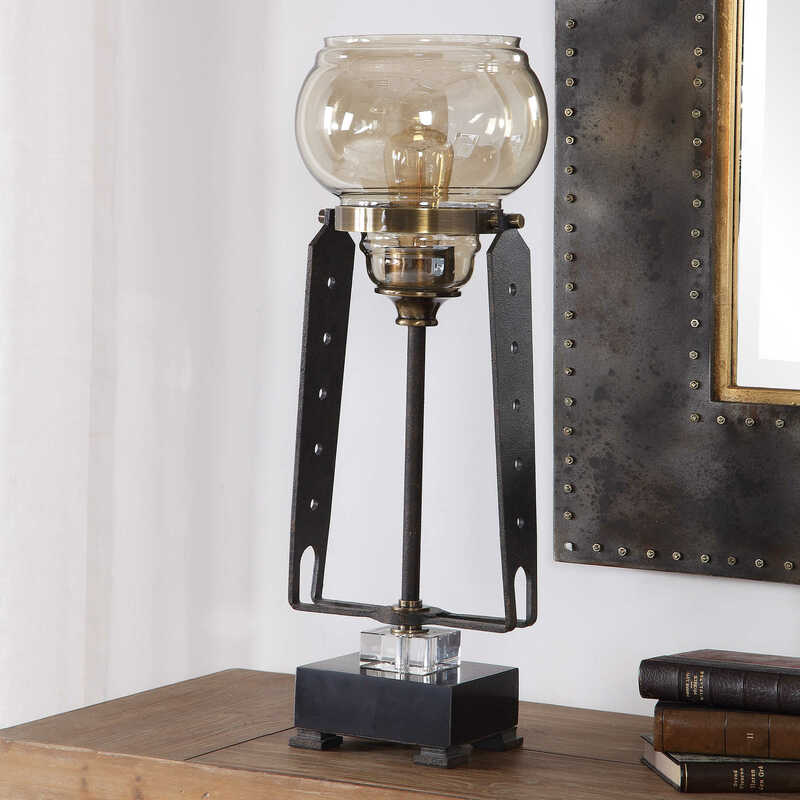 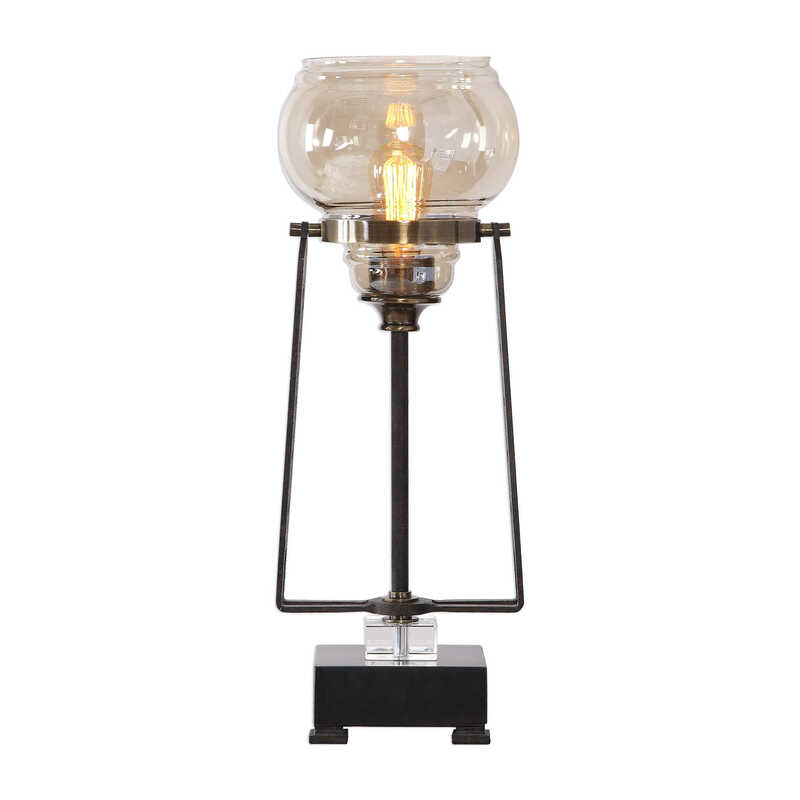 Industrial style emanates from this unique table lamp design. 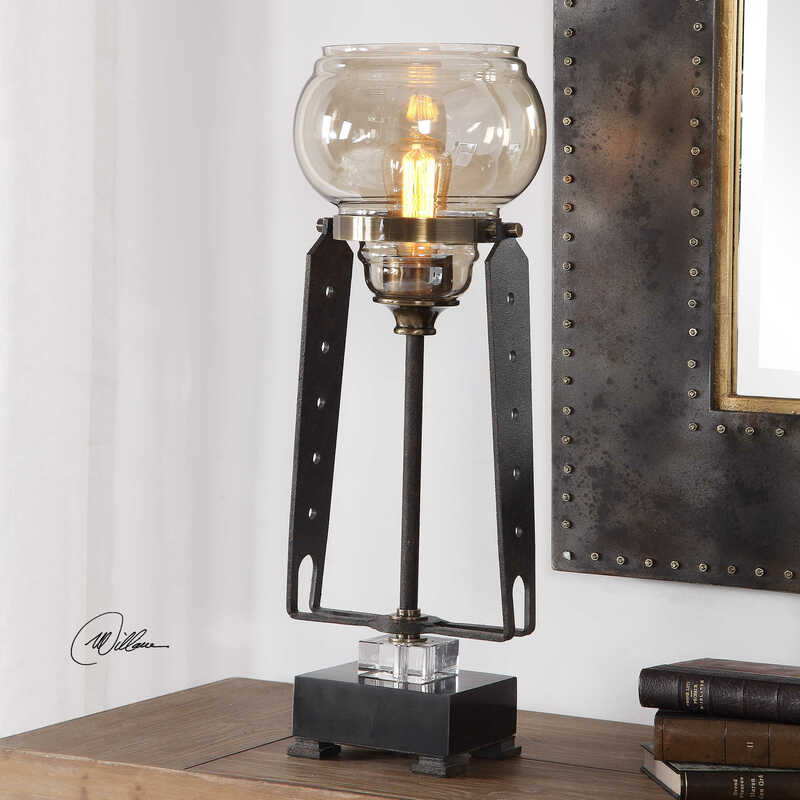 A round amber glass globe is supported by a forged iron stand with plated antique brass accents. 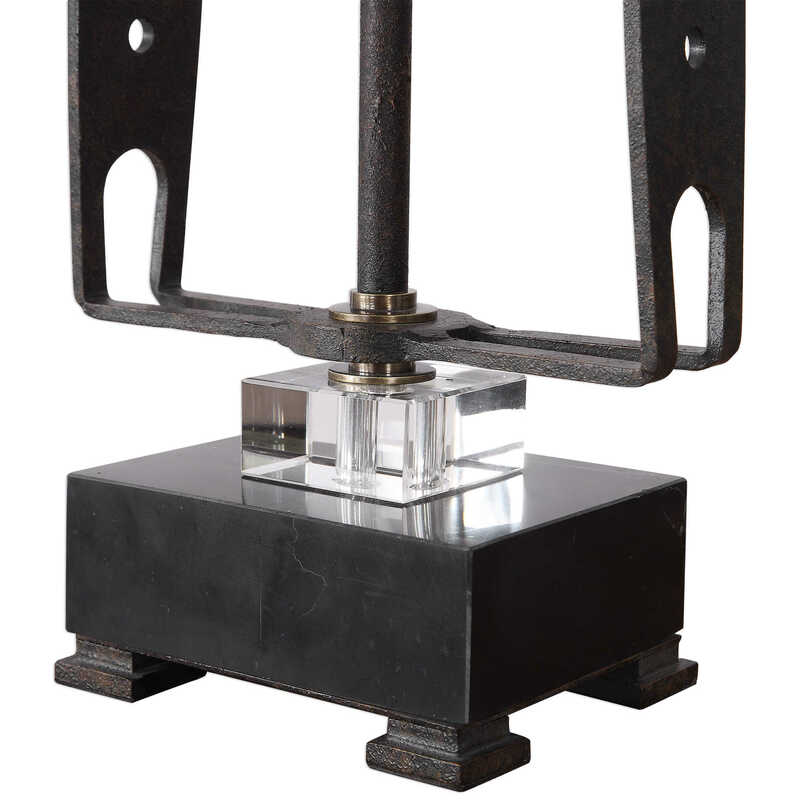 The stand sits on top of a layered crystal block and black marble foot. 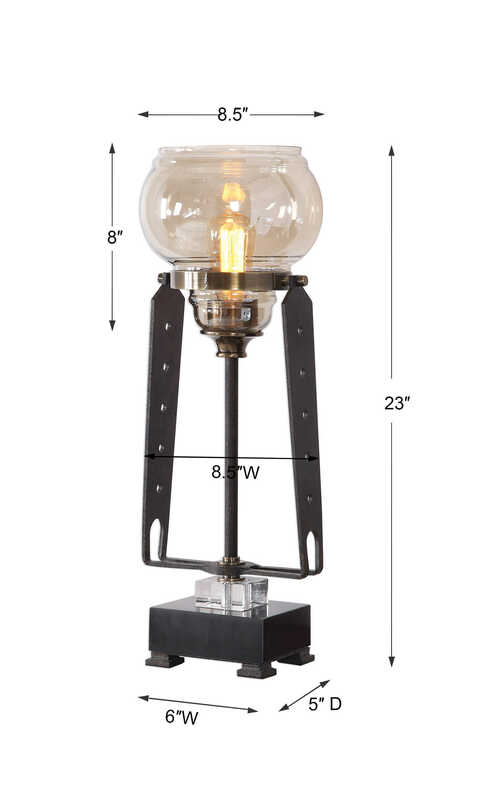 One 60W BT58, amber colored, antique bulb is included.